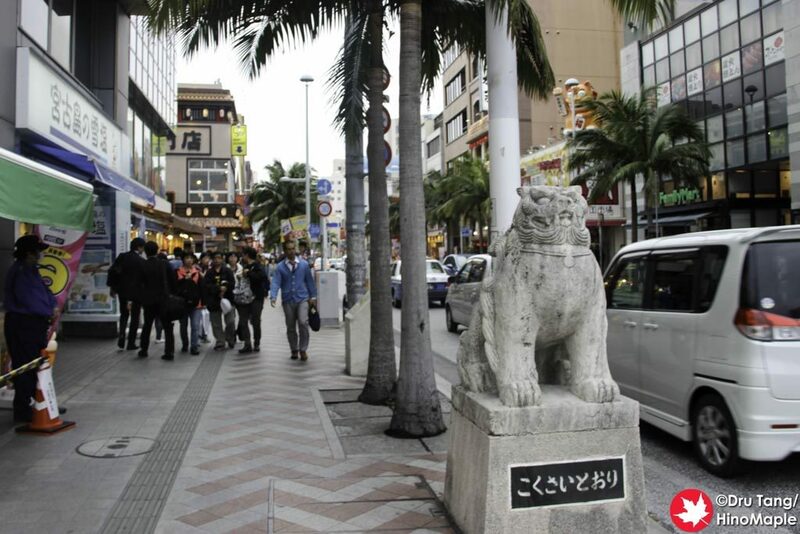 Kokusai-dori is the main central core of Naha that has become a tourist trap of sorts. In the past it was the place to be but today it is mostly full of tourist shops for the entire kilometer stretch from the Okinawan Prefectural building all the way to Makishi Station. 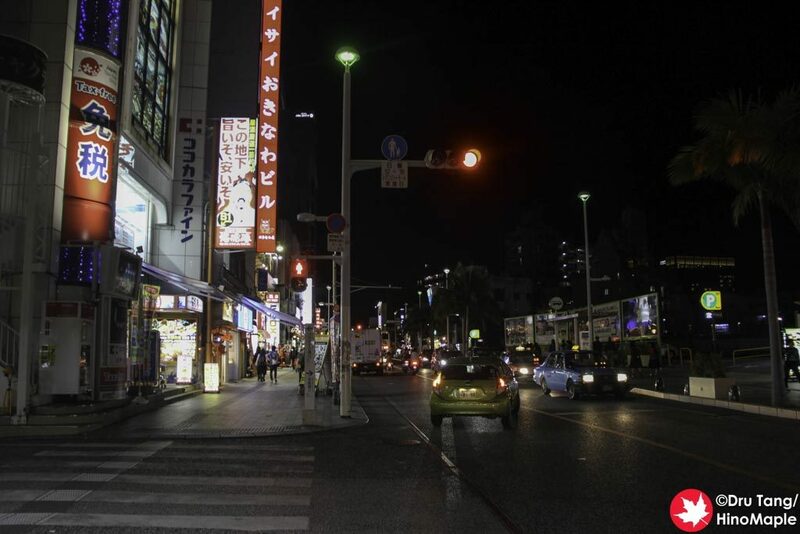 Kokusai-dori is still a place to visit if you are visiting for the first time but after a while it gets tiring and there really isn’t much to see or do. Getting to Kokusai-dori is pretty easy as it is bounded by Kencho-mae Station and Makishi Station on the Yui Rail line. Kencho-mae is less than 100 meters from the entrance to Kokusai-dori and the entire stretch can be split into 3 areas. Each area is almost the same with a few differences, but for simplicity we will call it the Kencho, Central, and Makishi blocks. 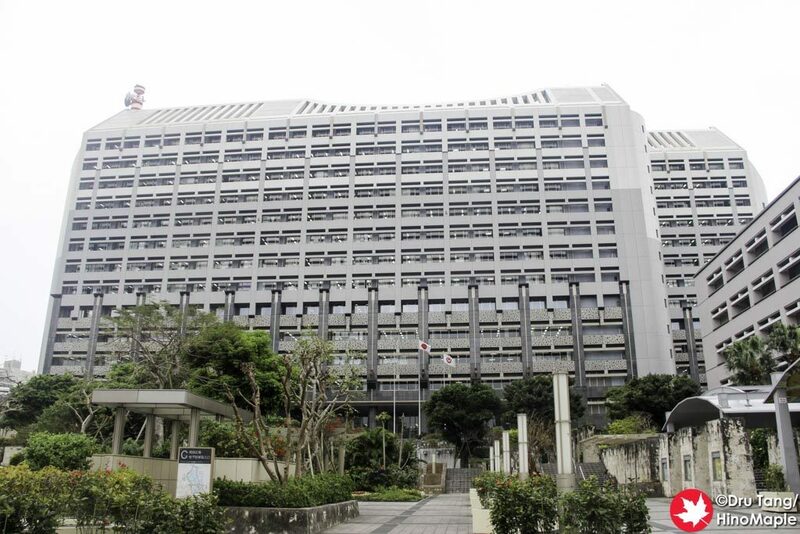 The Kencho block is, as I called it, the area closest to the Okinawan Prefectural building. The main intersection next to the building is what I consider to be the official start as it has stone shisa at the entrance. You are immediately hit with a plethora of souvenir shops and to varying degrees they are good. 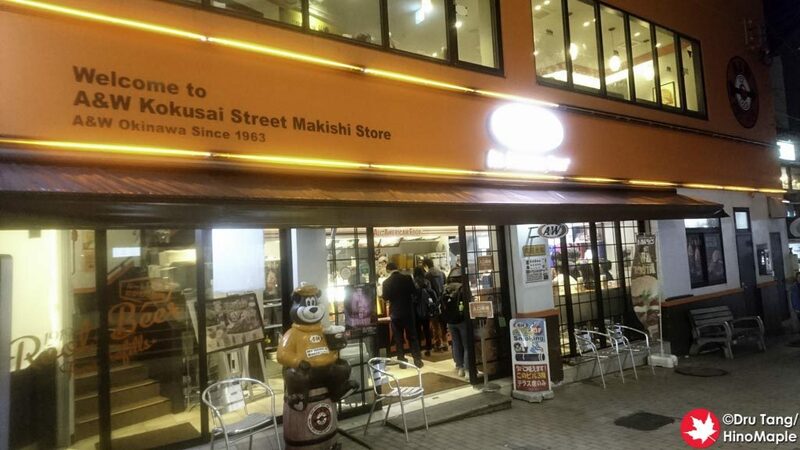 You have some of the more upscale shops such as Arakaki Chinsuko and Washita as well as the cheaper ones. Other than that, Kokusai-dori doesn’t have much going for it. The area that I was more interested in was the Kumoji area. 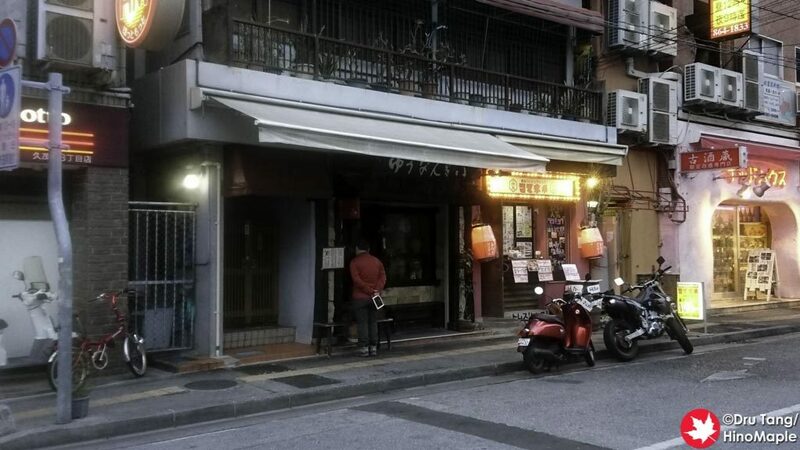 It is on the north side of Kokusai-dori on the Kencho block and it is full of bars and restaurants. It is always buzzing with people and there is no shortage of places to get a drink. It may not be the safest place with cars buzzing by but it was a good area and my favourite bar and restaurant in Naha is there. The Central block is somewhat hard to explain. If you look on Google Maps it is bounded by Ichigin-dori (Route 222) and Okiei-dori. I actually prefer to call it the Hotel JAL City block as the Hotel JAL City takes up a large portion of this block. The area is better for tourist restaurants and food. While you can easily get food along the entire Kokusai-dori, I found the Central block to have more restaurants compared to the others. The Makishi block is probably the most interesting. Bounded by the entrance to Makishi shopping arcades and Makishi Station, this is also the longest section of Kokusai-dori. I have read that Kokusai-dori continues a little further past Makishi Station but I never ventured that far as it didn’t seem interesting. The Makishi block is a good mix of restaurants and souvenir shops but it depends on what you want. A&W has a major shop along this stretch and there are other smaller shops as well. I found the shops to be more interesting even though they were all selling the same thing. The main anchors of the Makishi block are the HaPiNAHA building and the Tenbusu Naha building. The HaPiNAHA used to be a department store but has been converted into a souvenir mall along with a Yoshimoto comedian theatre. The Tenbusu Naha is named after the theatre that is inside this building but it is also a nice building as it has a small historical shop as well as arts and crafts shops that teach you how to make traditional Okinawan crafts. Kokusai-dori is a very touristy area and I have mixed feelings about this street. I was walking along here almost every day and it is easy to get around. It is full of tourists at all times of the day and you can’t really do too much outside of the tourist activities. I felt that there were more people from China and Korea rather than Japan. Getting off this main strip will let you see a plethora of interesting places but it isn’t always easy to explore. 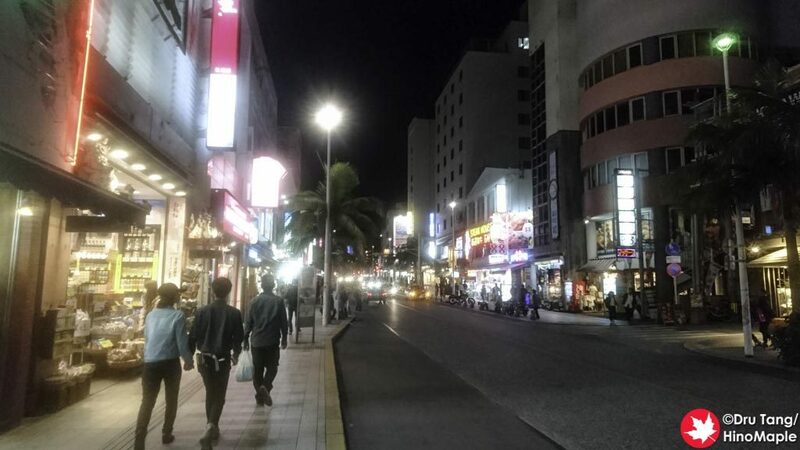 If I am ever in Naha again you can be sure that I will be visiting Kokusai-dori again, but more than likely as a way to get to other areas. I will also do my souvenir shopping here as it is generally more relaxed. 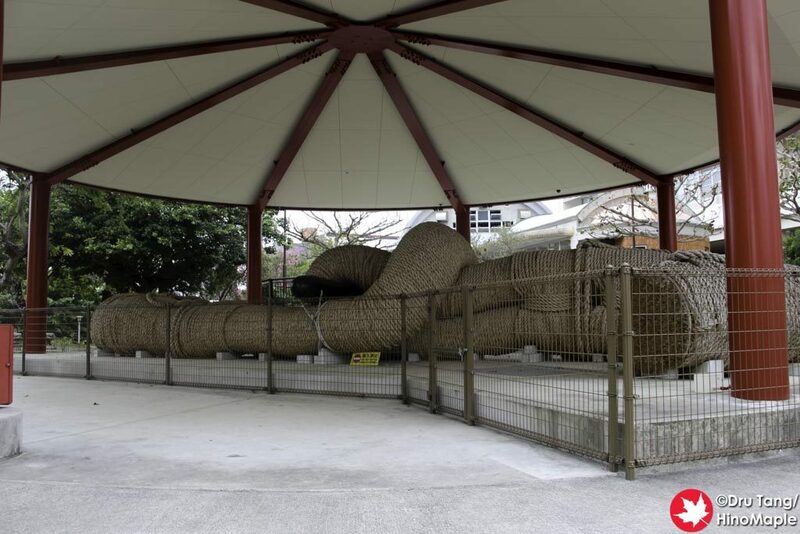 This entry was posted in Okinawa and tagged HaPiNAHA, japan, Kencho-mae Station, Kokusai-dori, Kumoji, Makishi, Makishi Station, Naha, Okinawa, Okinawa Prefectural Building, Tenbusu Naha by Dru. Bookmark the permalink.